The AEC/ATC Blog: What kind of craziness is the ATC? Last night I was polishing up the brass on my tack, filling time while I waited for Dr. Carly Ross, DVM to arrive. There was no equine blood-spouting wound, no colicing drama, just an Eddie (aka Best Etiquette) who had taken to tilting his head sideways when chewing his grain, his ever-so-subtle 17h OTTB way of telling me he needed a dental check up. Best Etiquette, Roebke’s Run, September 2014, D and G Photo, and the handsome guy shooting video in the background like a boss is the fabulous Jay! 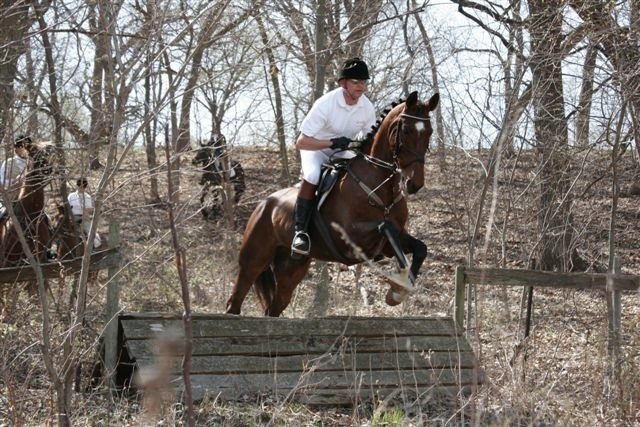 For those of you just joining the party, Eddie is my Preliminary level eventing horse. And if you don’t know me, I am 6’3″, so yes, he really is 17h though in relation to me, he may not look that big. (Little known Eddie fact: he broke the caps off the vertebrae that make up his withers somewhere in the mists of time before I met him. If he had those caps, he would probably measure 17h2″. This also points out that a horse with a little dent or ding can do just fine down the road, but I digress.) He’s really quite a star, and I can only imagine I must have done something simply brilliant in a former life to get to spend time with him, let alone ride him in competition. He’s one of those spindly-legged thoroughbreds that look forever young and usually a clinic or show doesn’t go by when someone doesn’t ask how old he is or offers, “Nice young prospect you’ve got there!” I don’t have the heart to tell the very kind second group that he is 16 years old this year. We’ve had some pretty good success at Preliminary level, qualifying and finishing in the top 25 in the American Eventing Championships when they were held in Chicago a few years back. Those were fun times. Jay and I stayed with our friends MFH NIkki and Rob Reed (Wayne DuPage Hunt), who lived in a beautiful home less than a mile from Lamplight. We’d spend balmy days at the show running my 2 preliminary horses at the time (Fabulouso was the other, now retired from upper level eventing to a life of leisure in the foxhunting field with Jay). In the evenings we would toddle on over to the Reeds’ house and go together to the hunt kennel to see the hound puppies, listen to Rob sing beautifully at the piano (and one time an entire aria in the car on the way home from a fabulous hunt party that served the most spectacular lamb with mint), swap hunting stories and on one rare occasion, we actually did a morning mounted hound walking in the Pratt Wayne Forest Preserve before my afternoon dressage rides across the road at Lamplight. I rode a borrowed horse. I didn’t think Katie Lindsay would smile her Scorpio sunshine on me larking a competition horse about on the xc course before we rode it the next day. During the floating it occurred to me that I should have done Eddie’s gallop before he was sedated. Dr. Ross said maybe not a good idea to gallop until 3 hours after sedation (so it is like swimming after eating? Cool. Who knew?). Three hours was going to put us at sundown, so it wasn’t going to happen. So change the training days. Preparing for an event is a schedule juggling affair, first between other obligations (like life, you know, eating and working and friends and such) and then between the three disciplines of showjumping, xc and dressage. A) I wanted to show at the Texas Rose Horse Horse Park in Tyler Texas because my favorite ginger niece, Vanessa Hellestad, lives nearby, in Dallas. We could visit and I could ride and compete. What’s not to love? Vanessa and Aurora the Eagle at the Dallas zoo where Vanessa is a bird trainer. B) I wanted to ride at the preliminary level again which I haven’t done in two years. A) We won our first event back (yippee!) so I thought maybe we should keep at it. B) We kept at it at Catalpa Corner HT and Roebke’s Run HT (no, we didn’t win those too, but all three phases were fun and safe for both of us and we got the little satin thingies in pretty colors at the end of the show) and then we were qualified for the American Eventing Championships. C) I then remembered that riding at the AECs means competing at P level with Superstars of Eventing (SoE) like Becky Holder, Leslie Law, Boyd Martin, Phillip Dutton and all their 4* friends riding their up and comers or clients’ horses, but I entered anyway just for fun, and to try not to look like “one of these things is not like the other” in the warm up ring. Championships are coming up! How would you like to ride in Texas and compete on championship level courses, riding with the best in the USA? How would you also like to WIN? Not qualified? You may actually be and not know it! http://useventing.com/atc. This is a parallel competition to the AEC’s run on the AEC grounds at the same time as the AEC’s but a separate division. Each horse and rider pair must have three cross-country rounds with no jumping penalties at recognized USEA horse trials at the ATC level that they wish to compete. None of the qualifying cross-country rides may include dangerous riding penalties. 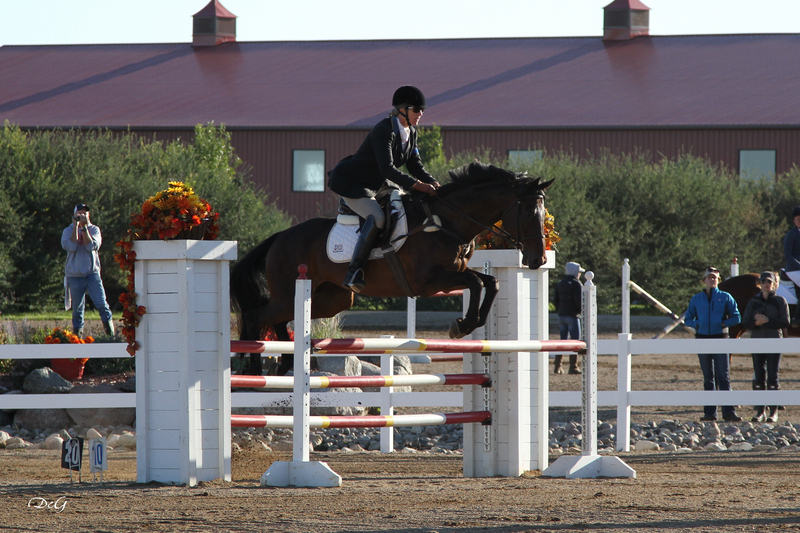 The qualifying period for each horse and rider pair is July 9, 2012 – September 16, 2014. As the Organizers of this event our intent has always been to have as much purse money offered for the ATC as is offered in the equivalent Nutrena USEA American Eventing Championship divisions. For Preliminary Amateur through Novice Amateur that amounts to $3,300 per division. We aren’t there yet, but at this point I am comfortable saying that we are approaching $2000 per division of the ATC. The Adult Rider Task Force has decided that this money should be distributed to the top three teams in each division. These funds are made possible through the generous sponsorship of Bit of Britain, and SmartPak. Each individual through 12th place will receive a beautiful ribbon. The top three teams will receive a neck sash for their horses. The winning team will receive beautiful French made (European style) plaques. These are very elegant and I have attached a black and white mockup for your information. These look great in your home or stable. Thanks to The Chronicle of the Horse we will have a yearly subscription to that fabulous magazine for each of the team winners of each and every ATC division. Additionally, the top teams will also receive 4 coolers provided by TCOTH. The coolers will feature the Chronicle logo, and indicate what division the champions competed in. For the top teams we will have saddlepads provided by Bit of Britain. Additionally there will be tack, supplies, supplements, clothing, and other great products distributed to the top teams at the ATC from a number of other sponsors that are stepping up from their normal AEC sponsorships. We continue to add new prizes and some great ones that we can’t report yet are in the works. Wednesday Welcoming Party – A relaxed party in the VIP tent overlooking the grounds. It is a beautiful setting as we watch the sunset. Food will be provided by The Fatt Apple, a very well respected caterer that provided great food for the 2013 Adult Rider Social at the AEC, entertainment from Elisa Wallace and her fabulous mustangs, and more. Thursday Night ATC/Adult Rider Social – This is your party in the trade fair/indoor arena. Hang out and have a blast with your fellow competitors while you mingle with vendors and sponsors next to the beer garden. Friday Night Dog Show – One of the highlights of the AEC. When you arrive on grounds sign you pup up! With classes like the puppy puissance (high jump), look-alike contest, best rescue story, biggest, smallest, best trick…this is a blast to watch and is sponsored by Weatherbeeta so your pup can win loot and ribbons! Judged by the USEA President Diane Pitts and CEO Jo Whitehouse. Saturday Night Competitors Party – The “BIG” party that brings everyone together under one roof for a final blowout before the last day. Food, drinks, and all competitors receive a ticket to all of the parties at no extra charge. This party will also feature a Mechanical Bull Tournament. Enter your team of 3 and you could walk away with a Texas sized set of belt buckles! Enter when you check in at the show office. Educational Seminars Throughout: With course walks over every division with some of the top PRO riders in eventing, seminars from Max Corcoran “the best groom/manager in the business”, and some special guest appearances this might just be one of the most useful parts of your trip to Texas. And this year, the Area IV Adult Rider Program set aside some money to pick up part of the entry fee for qualified Area IV Adult Riders. I imagine they will do the same next year, so make plans to go next year. To qualify, you basically need 3 jump fault-free xc rounds at recognized competitions that you complete at the level you wish to compete. Meanwhile, live vicariously through the blog if you like. Upcoming installments: Friday gallop and evening dressage lesson with Trudy Tatum, team assignments (we get to meet three other prelim eventers from other areas), showjump school Sunday, whatever other things happen, and leaving in the wee hours on Wednesday morning. If you type your email in the window on the upper right part of this page, you will get a notification each time a blog is published. Fun times ahead!